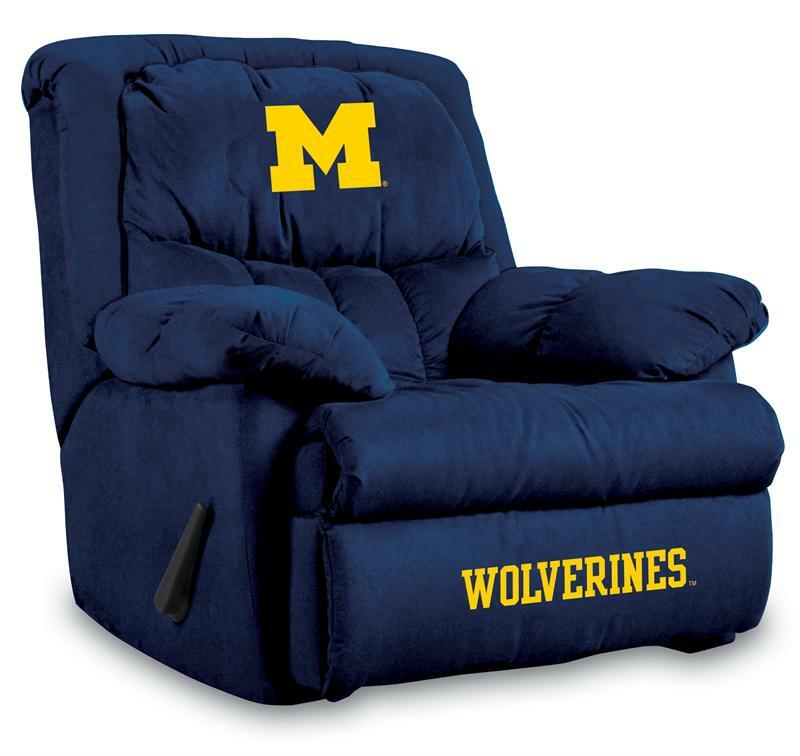 Michigan Wolverines fans it's time to sit back, relax and enjoy NCAA® action on this officially licensed Michigan Wolverines Home Team Recliner! The Home Team Recliner has a brand new look but is still the most comfortable recliner you can imagine. Overstuffed arms and back make this a winner for the whole family! Bench made by North Carolina craftsmen and built to last. Team microfiber fabric is highlighted by embroidered patch logos on both the headrest and footrest. Enjoy the game and the nap after! Dimensions: 39"L x 38"W x 42"H; Weight: 125 lbs.